Bacalar, Mexico is a great place for a two or three day escape from Playa del Carmen, Tulum, Cancun, or anywhere else in the Riviera Maya. The main draw of this sleepy down is Laguna Bacalar, also known as the lake of seven colors. 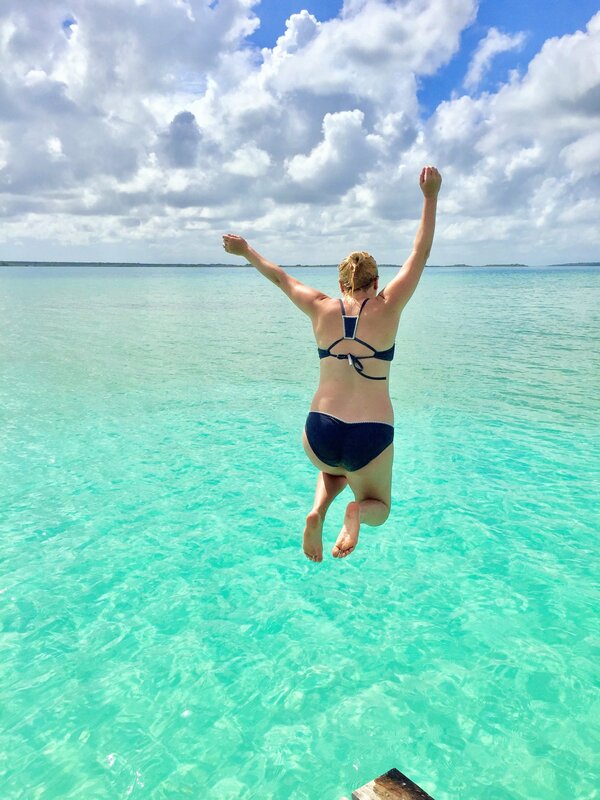 In the sun, it shimmers between stunning shades of blue, green an turquoise – I couldn’t believe I was looking at a lake and not the Caribbean Ocean! All it took was one photo of Bacalar, Mexico to convince me I needed to see it for myself, and I’m so glad I did. 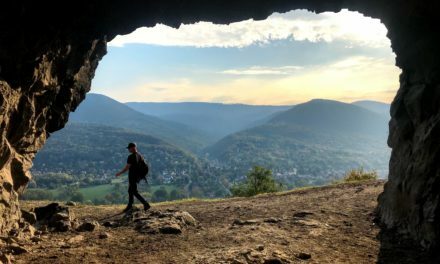 Dan and I had a fantastic weekend relaxing here and this guide has all the info you need to know to plan your own trip! Laguna Bacalar is three hours from Tulum, four hours from Playa del Carmen, and five hours from Cancun by bus. In Playa del Carmen, you can take the ADO first class bus from the station on Calle 12 and Avenida 20. The cost is 322 pesos / 17 usd for a one way trip. The buses leave every two hours, and you can see the full schedule here. There are also second class busses called Mayab that run the route. These cost 222 pesos / 12 usd if you’re really on a budget. I strongly recommend choosing the first class bus because it’s more comfortable, has a bathroom, and most importantly… it’s faster. We missed the first class bus on our way home and hopped on a Mayab instead. It ended up taking an extra hour because it was late and had so many extra stops, so honestly I’d rather spend the extra five bucks for a faster trip. We stayed at a budget hostel called Yaxche Centro. 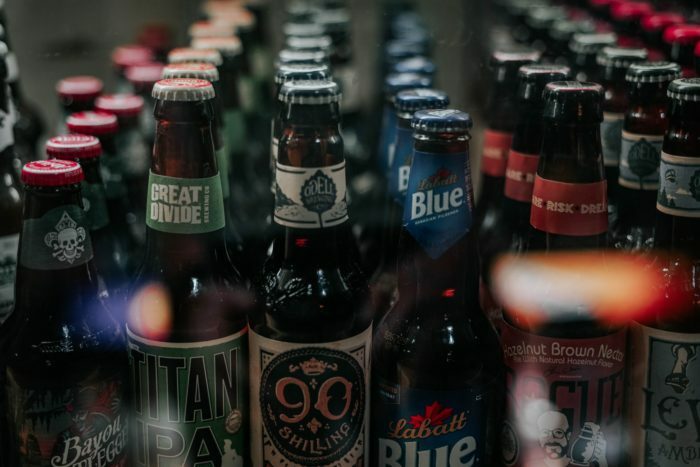 I chose it because it has a central location within walking distance to the central square and because they have their own private beach on the lake with free transportation, a bar, and water swings. To save even more money, you can camp in tents on their beach, which is cheaper but located outside of town. Bacalar also has a range of accommodation for any budget. Hotel Wayak Bacalar is an all-inclusive resort on the shores of the lake while the serene Hotel Aires Bacalar is the top-rated hotel in the area. 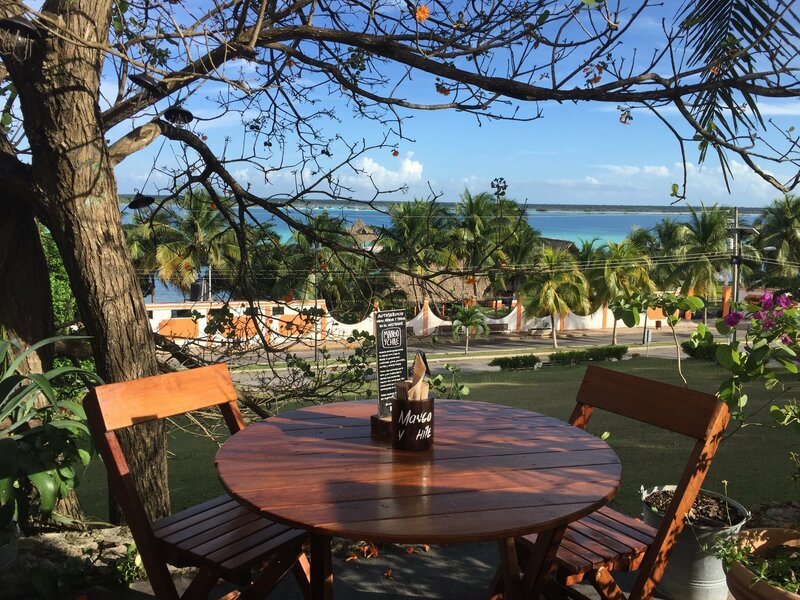 Click here to book your stay in Bacalar! 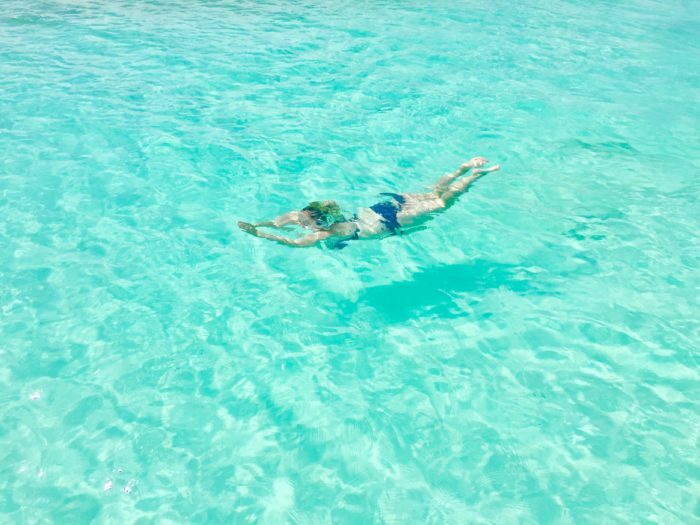 The number one activity in Laguna Bacalar is relaxing. However you like to unwind, you can do it here. Hammocks, sun chairs, quiet restaurants? Yes, yes, and yes. 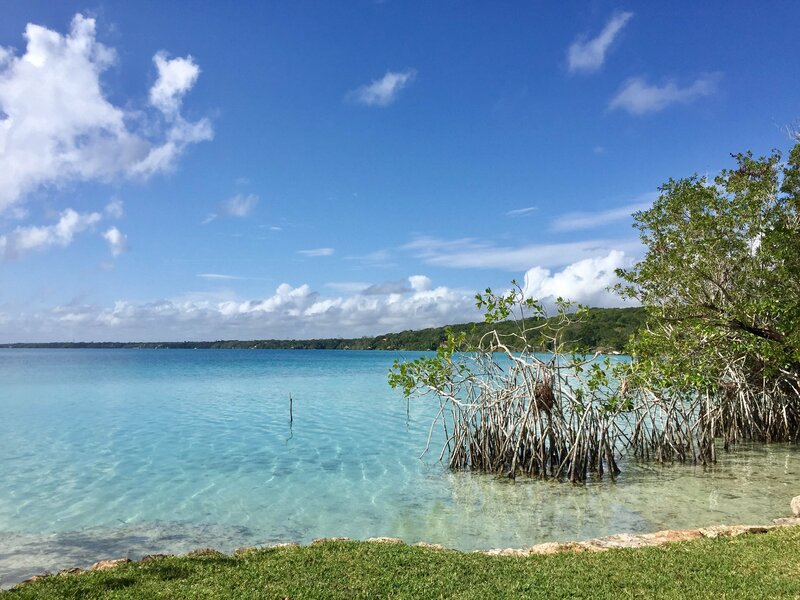 Come to Laguna Bacalar to spend your days by the gorgeous fresh water lake. The colors are seriously stunning, and I’ve never seen anything like it before. Even when it was cloudy and storming, the turquoise water seemed to glow with an ethereal look. To be honest lakes are not usually my favorite place to be, but this is the clearest, cleanest, most beautiful water I’ve ever seen. Yaxche Centro had a shuttle to their own private spot on the beach where we spent two days swimming, kayaking (100 pesos / 5 usd per hour), reading, and relaxing on the water. In Bacalar you can also rent stand up paddle boards, visit the San Felipe Fort, day drink, do a boat tour (you can find operators on the street corner by the fort, tours cost 250 pesos / 13 usd per person), snorkel, check out the nearby Cenote Azul, or even go down a giant water slide into the lake! I was surprised because every meal I had in this small town was delicious. I shouldn’t have been, though, because this is Mexico and the food is just consistently on another level than the rest of the world. We got the shrimp ceviche and beef tacos at Mexico Gourmet (so good), enjoyed the sopes and burritos at Ojitos La Catrina, and tried the vegan burgers and milkshakes at Mango y Chile, which also had a beautiful view of the lake. Unfortunately I didn’t get the chance to snack at Akira Ice Rolls, sooo I guess I’ll just have to come back for another weekend in Laguna Bacalar someday! Laguna Bacalar is a pretty quiet town, so don’t expect Cancun or Playa del Carmen level parties. I recommend having a few beers and watching the sunset at La Playita restaurant, located in a jungle ambiance right on the water. Afterwards, just walk down the street to enjoy live music and cheap drinks at Ojitos La Catrina, which was packed both nights we stopped in. 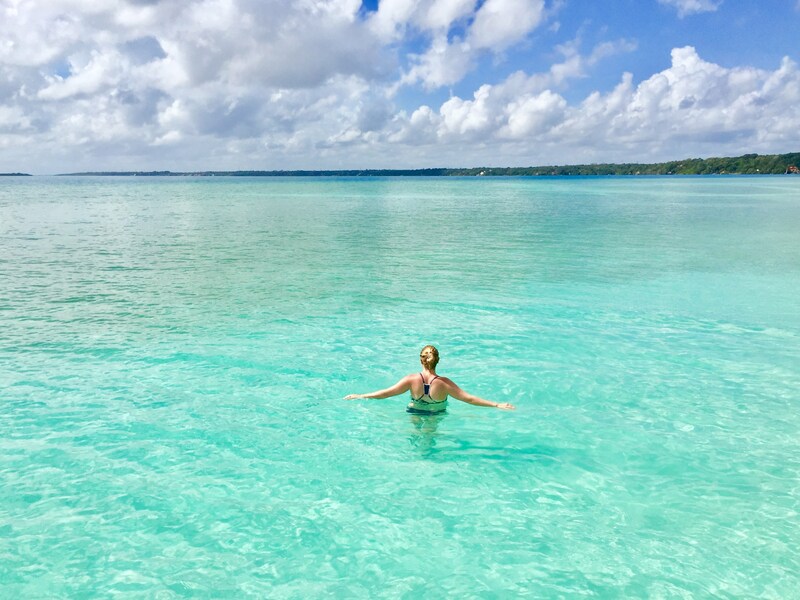 Have I convinced you to add Laguna Bacalar to your Mexico bucket list? 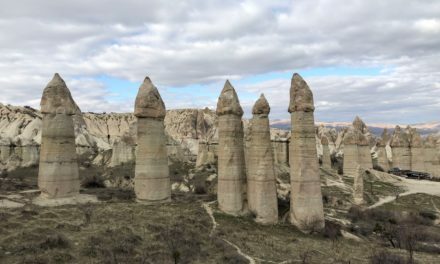 This place is definitely off the beaten path but it’s so worth taking the time to explore! You will never see a more beautiful lake than this, I promise. 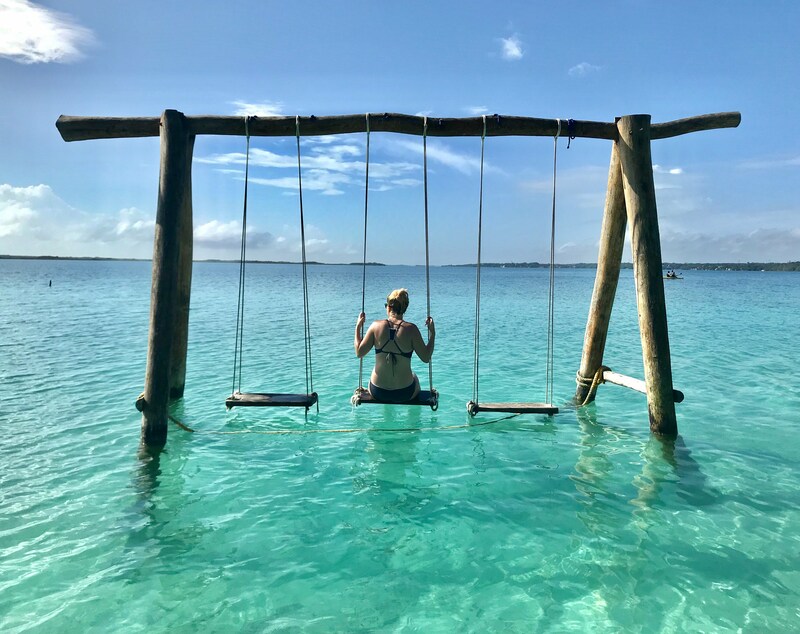 If you want to disconnect from the real world and recharge, Bacalar, Mexico is definitely the place to do it. Ready to go? Click here to book your stay at Laguna Bacalar! Looking for more off-the-beaten-path destinations in Mexico? 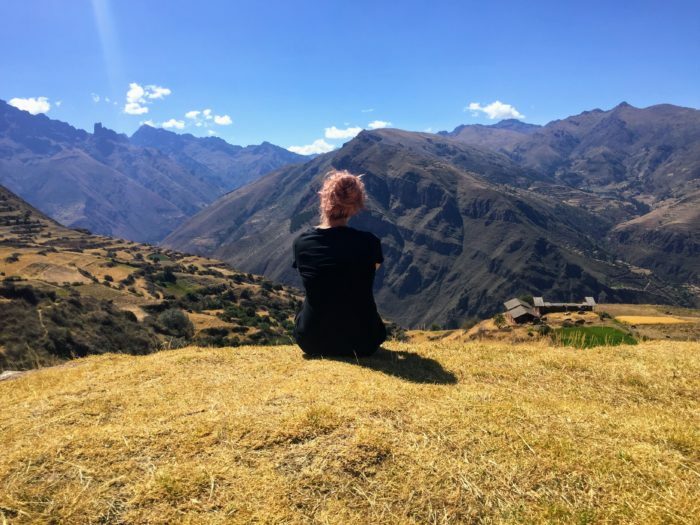 Learn how to go hiking in Izta-Popo National Park, take photos at a stunning & futuristic library, visit the natural blue pools at the colonial town of Taxco, or spend a day exploring ruins and underground cenotes. where exactly are the Swings in the Lagoon? I’m taking my GF for her B-Day in June, so I want to know the perfect pic spots and I have already pin the restaurants you recommeded. Our hostel (Yaxche Centro) had a private beach with the swings you see pictured here but they aren’t the only ones on the lake. I saw more when we were kayaking as well. If your accommodation has a beach ask if they have swings and if not they may be able to tell you where you can find public ones.